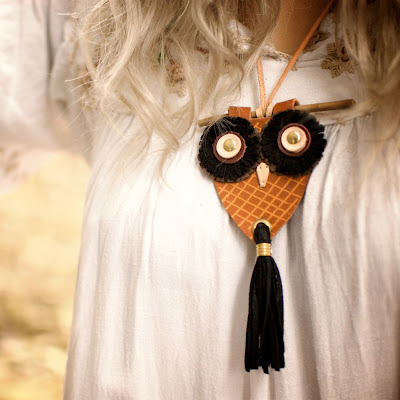 Now here is a unique, eclectic set! 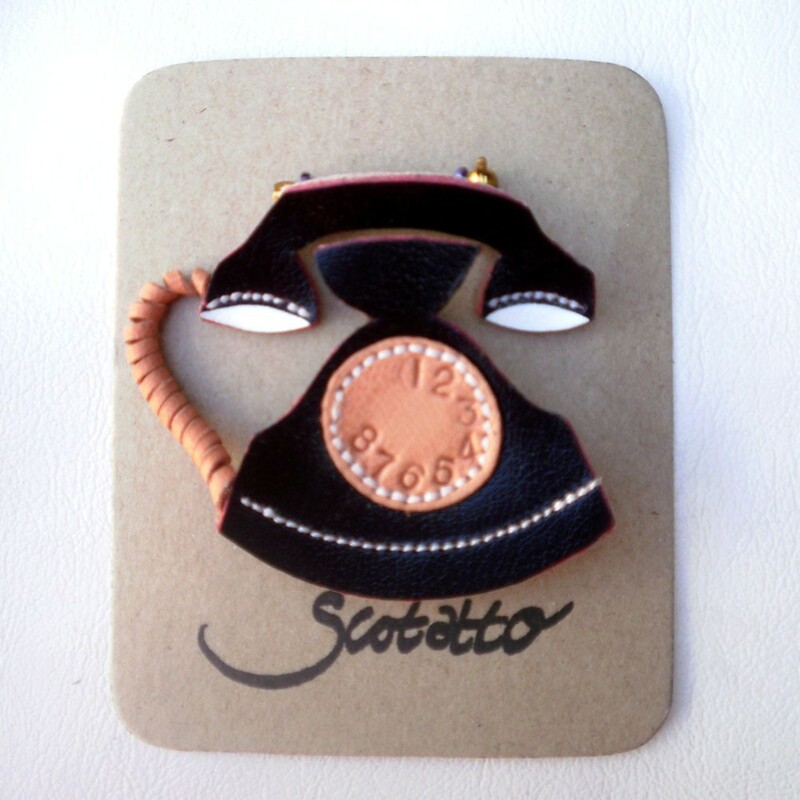 I just love these designs by Etsian Scotatto........all handmade of leather and other materials. Yes, even the shoes (scroll down). There were so many darling items in her shoppe that I had a VERY hard time choosing which ones to showcase here. So be sure to stop by check them out for yourself! 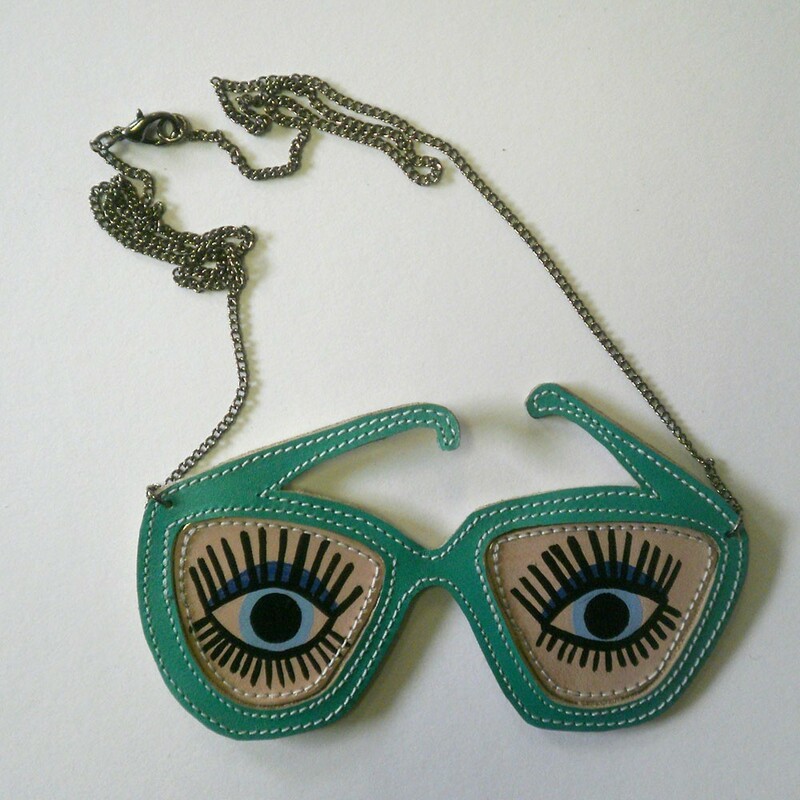 I love glasses necklaces, but have never seen one with eyes........until now! 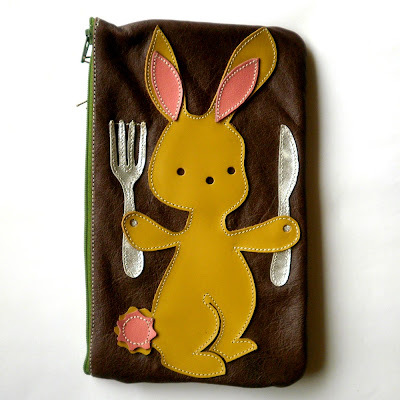 This is the first item I saw from her shoppe.........it drew me right in. 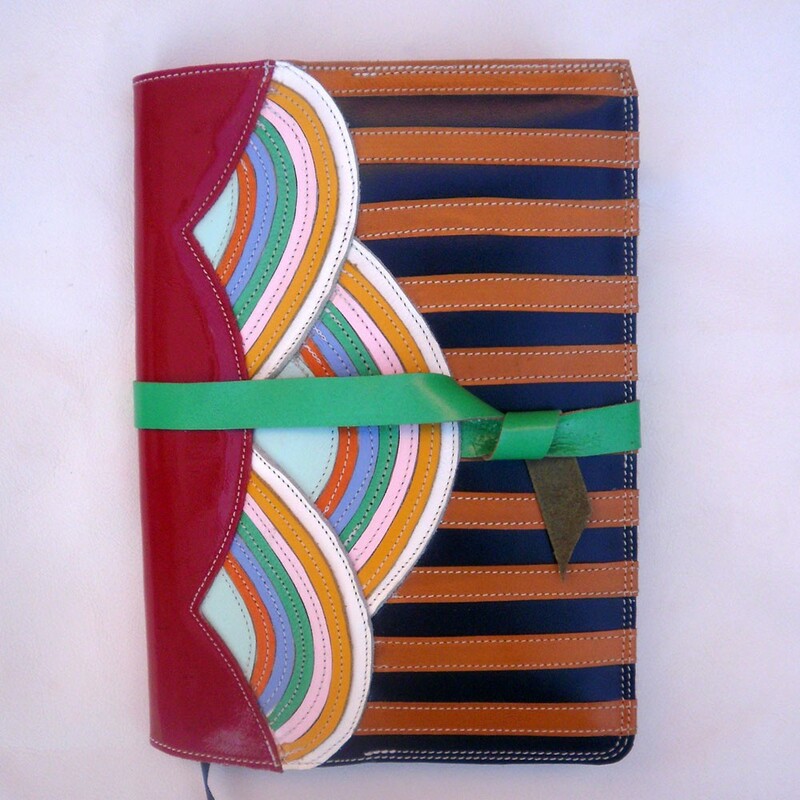 This diary cover reminds me of a circus......a theme that I'm really fascinated with right now. These are so unique because of the leather--and they look absolutely fantastic! 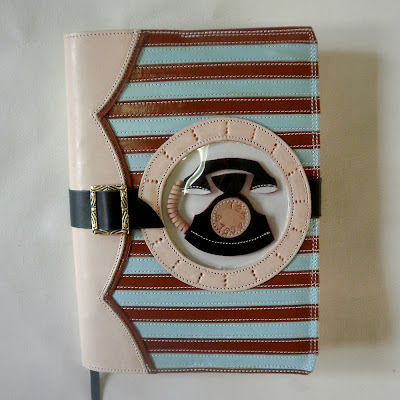 I think my favorite is the diary cover...but the shoes are calling my name as well...haha! 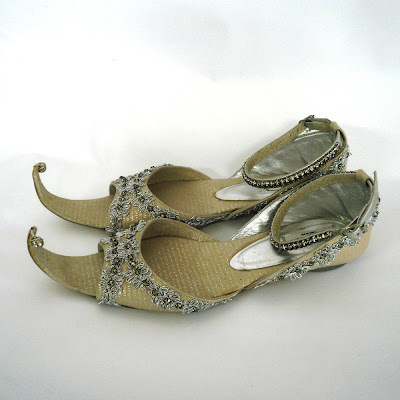 I LOVE LOVE LOVE LOVE LOVE the Turkish shoes!!!!!!!!! !